A professional driving career can be a rewarding a career with perks like good pay if you land the right driving job or the flexible lifestyle. Moreover, the increasing demands of professional truck drivers set the stage for you to leap into this worthwhile job. But if you think the basic driving skill is all it takes to have a successful career as a truck driver, you are mistaken. A good truck driving school is what you need to start your career on the right foot. A good truck driving school will not only train you for your driving test but also enable you to graduate and come out as a skilled professional that companies are looking to hire. However, not all schools for driving are cut from the same cloth. With a number of options out there with varied costs, time commitment and depth of training, it can be difficult to decide on a good driving school to attend. Here’s some tips to help you choose a great driving school in order to land a great career for your future. The most puzzling thing to decide is whether to go for a private or a company sponsored training school. Paid CDL training programs or company sponsored training schools are the simple stepping stones for becoming a fully licensed truck driver. Companies like the mega carriers own and operate their own truck driver training schools in which they train and grant a commercial driver’s license. They also provide a driving job at the end of the training but you will have some contractual obligations in this style of the training program. The company usually pays a low wage to the driver during the training time and the first year with the trucking company. While the private CDL school charges thousands of dollars upfront, the fees of sponsored truck driving training schools can vary from low cost to no cost. As the reputable private CDL School doesn’t have any obligations at program completion, it makes a preferred choice if you are able to pay the cost. On the other hand, for those without the funds to pay for the private driver training program, a company-sponsored program is still a good option. Whether you choose a truck driving school that is private or the company sponsored training school, make sure to keep your eyes wide open and go with the one that is fair and reputable. No matter whether you choose paid CDL training or a private truck driving school, here are the necessary requirements to qualify for the training program. Age – The required age of the driving program may vary depending on the program. Usually, 21 to 23 years are considered suitable for most of the truck driving programs. D.O.T drug test – You need to pass the D.O.T drug test to qualify for your truck driving program. Clean criminal history – The applicant should have a clean criminal history, although there are allowances, depending upon the nature of the convictions/charges. U.S. citizenship – You must be a U.S citizen to qualify for CDL or truck driving program in the US. Driving history – A proof of minimum 3 years of work history that can be verified by past employers is essential to enrol yourself in a truck driving training program. Also, you must not have the ‘Driving under the Influence’ charges within the last five years and moving violations for at least the past three years. Commitment – In the case of company-sponsored training, a potential student may have to commit to a long-term work period that is 1 to 2 years after training. So make sure to understand the commitment, prior to signing on the dotted line and committing to training. You may have heard some people saying that manual transmissions are a the thing of the past now and learning automatic transmissions is good enough to do well. But the truth is, manual transmissions still exist in some trucks today. Also, learning only the automatic transmission will limit your job opportunities. 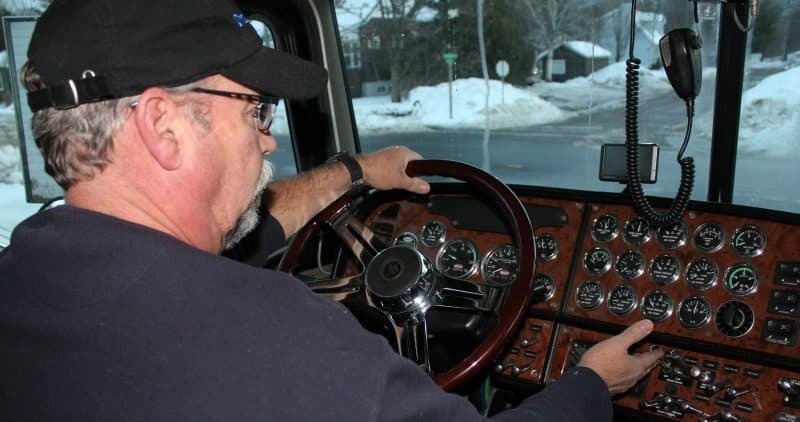 This is why it essential to choose a truck driving school that offers both manual and automatic transmissions training. When it comes to trainer and student ratio in a training school, the lower the ratio the better it is. The school should have at least a trainer for every 4 students. This will get you the undivided attention of the instructor. Too many students with only one instructor can just be an exercise in frustration and you won’t get the attention and time you need from the trainer. A program should not be too short to fast track you through your training that you don’t even understand. A rushed 2-week program can be quite stressful and the future employer may not consider hiring someone with only a few weeks of formal CDL training, even if you have your CDL. The qualifications of the instructor plays a crucial role in a training program. It is better to opt for former truckers with years of driving experience instead of brand new CDL drivers. Watch out for the schools with trainers with no CDL! Private CDL schools will only accept certain financial aid programs. Look for the financial aid programs accepted by the school of your choice and figure out whether you will be eligible for any such programs. The licensing test is another important factor in your training. Find out if the licensing test can be repeated if you don’t pass it for the first time. If yes, you should also ask about how many times it can be repeated and how much will it cost. Do you need to reimburse the company for your training cost? How much money do you need to pay back to them? Is this cost going to be deducted from your pay? How much pay will be deducted and over how long? Will you get a wage during the training period? Do they provide a meal allowance during the training and if yes, how much allowance do they offer? Or meals provided? Will the meal allowance be prepaid? 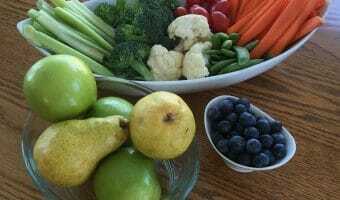 Do you need to reimburse the carrier the meal allowance? If so, how much is deducted per pay and how long do you have to repay? Do they offer accommodation during training? Lastly, don’t settle for the first CDL driving school you find with a tempting cheap program fee. Explore all the options available to you and do thorough research, compare all the options and go with the one that is best for you in all aspects. Keep in mind that most trucking companies prefer to hire a driver who has been licensed at a state accredited school. So, it is better to choose a truck driving school that is state accredited with proper licensing to operate. After all, you will want to receive the right training and become a properly licensed professional truck driver whose license is recognized by all trucking companies. 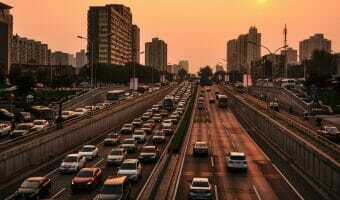 When it comes to location, it is wise to choose a driving school within a reasonable commuting distance. As the accommodation costs for the private school can be high for several weeks, it is better to select the one preferably close to home. But if the training school you want to attend is too far away from your home, you can consider the accommodation provided by the school (if that’s an option). Some companies even provide 3-5 weeks of accommodation and meals for paid CDL training. It obviously makes a better option when you know there is a job waiting for you ahead once you have successfully completed the training program. Find out if the school has a job placement program in place. Keep in mind that a placement program will be of no use if it leads your way to a shady trucking company. Also, a school with a record of a low percentage of graduate placements will not offer much value to you. So, it is essential to do a bit of research to figure out the success rate of the school in placing graduates in solid trucking companies. It is not advised to choose a truck driving school that just popped up last week. In fact, you should go for the one that’s been around for a while. Also, the reputation of the school matters. Consider the schools with a good reputation. Before reaching any conclusion, make sure to visit the school in person and check out the facilities. Talk to the staff and the trainer and take a look at the trucks and trailers they provide for trainees. Gauge the level of professionalism and don’t forget to meet the students, if you’re able, in order to learn about their experiences with the school. This can be invaluable information. Yes, the cost of the training program matters but it should not be the sole deciding factor when choosing a driving school. Cost doesn’t speak of the quality of a program, but it can certainly have a bearing on your decision. Visit different schools and note the features the program offers for the price and then compare to get the best bang for your buck. A school that is confident about their program can be a better option to go with. Some CDL school offer some sort of guarantee that you will indeed pass their training program that is well designed for success. Moreover, they may also provide you with some tuition reimbursement if you fail to pass the course for the first time or allow you to redo it for no charge. It is always an excellent option to consider word of mouth from someone your trust or a reputable source while choosing a truck driving school. Relying on online reviews is not a great option as they aren’t always truthful. Much of what you will read online is paid advertising, even if it doesn’t appear as an ad. It is essential to know the actual hours you are going to get behind the wheel. As there can be few students with an instructor in a training truck at a time, chances are you will not get sufficient time behind the wheel. A sufficient number of hours behind the wheel training is critical. This sets the stage for your level of confidence and ability when you graduate with your CDL. The school recruiter should be able to outline the important features of the school that makes it superior to the others. Find out whether the school can provide you with the best training and preparation to grow you as a professional driver that a trucking company would want to hire. Don’t rush into things out of excitement. Be well informed about the school before making a decision. Be diligent and think of all the aspects in order to make a good choice. 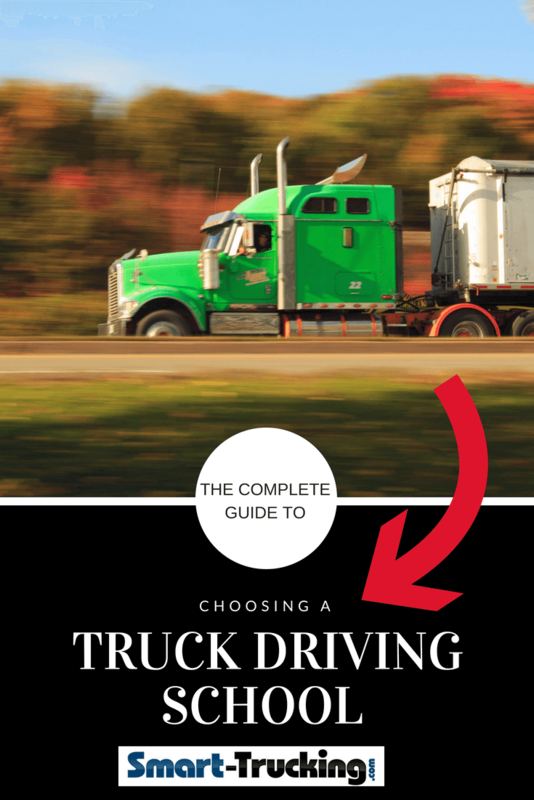 This is one of the most important decisions for your truck driving career. So, it is better to invest some time in gauging all of the above crucial factors before choosing any truck driving school. 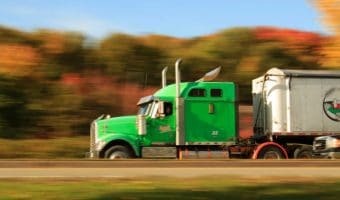 How Much Does it Cost to Attend a Truck Driving School?